People often feel unsure about what type of gifts to buy for someone they are dating---or if they should even purchase a gift at all. It's important to tread carefully in the early stages of a relationship, giving it the time it needs to flourish. A well-chosen gift will show the person you're dating that you know him and truly care about making a special occasion memorable. When giving gifts, it's the thought that counts. If you've only been dating a couple of months on your first holiday together, such as Valentine's Day or your significant other's birthday, don't go overboard. Do plan to spend a romantic evening together, and give the person you're dating a special gift, but don't spend a lot of money. Spending lots of money can scare a girl or guy away, making them feel like you're trying to buy their affections. In The Everything Dating Book by Alison Blackman Dunham, she suggests sticking to simple gifts like funny T-shirts or CDs. Similarly, if you have a comfortable salary, but the person you're dating can't afford to spend much on gifts, she may not enjoy receiving presents that cost more than what she can afford to give you. Play it safe early on, and as the relationship grows more serious, give her something special (but not outlandishly expensive) for her birthday and sense her reaction to it. On a birthday since the other person isn't expected to get you anything, you have a bit more freedom and can test the waters. If you feel the need to give gifts when it's not a special occasion, ask yourself if you could fix your date a romantic dinner or spend a sunny afternoon by a lake instead. Personalizing a gift is especially important when it's for the person you're dating. Pay attention when he happens to mention things he likes, such as styles of clothing or music. Writing a love letter to go along with it will make the gift even more memorable. 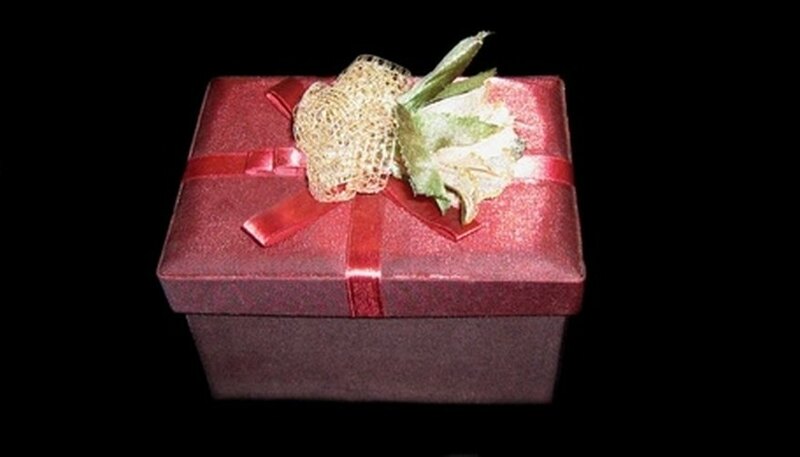 Seal it with a kiss and a dab of fragrance, or roll it up and tie a simple red ribbon around it. Always make an effort to include a personal touch like this when giving your sweetheart a gift. Gestures like giving a massage or writing a poem are also ways to give something from your heart along with a store-bought gift. If dating a coworker, keep presents out of the workplace. In other words, don't show up with a bouquet of roses on your anniversary. Even if such gestures don't distract you and your significant other from your work, other people may see this as unprofessional. Your time together after work will become even more special by saving these gestures for then. If dating more than one person, giving gifts could give them the wrong idea, making them think you're ready to get more serious. Always be upfront about your feelings, whether or not the other person asks you. If you choose to give gifts on any special occasion, keep them simple, like a small bouquet of flowers. J., Melanie. "What Is the Etiquette for Buying Gifts for Someone You Are Dating?" Dating Tips - Match.com, https://datingtips.match.com/etiquette-buying-gifts-someone-dating-7332749.html. Accessed 24 April 2019.